The rap mixtape is nearing the end of a decades-long journey from the margins of pop culture to mainstream credibility. Once an illicit-seeming format full of jacked beats and gun-flashing beefs, and distributed through liquor stores and Canal Street shops selling bootleg Chinese Louis Vuitton bags, mixtapes are now a multimillion-dollar business, and one of the most effective ways for a rap artist to launch a legitimate career. At least three songs on the Hot 100 got their starts on mixtapes before the major label promotional apparatus kicked in: Lil Wayne's "Love Me" and Future's "Karate Chop" (both originally released on Freeband Gang's F.B.G. 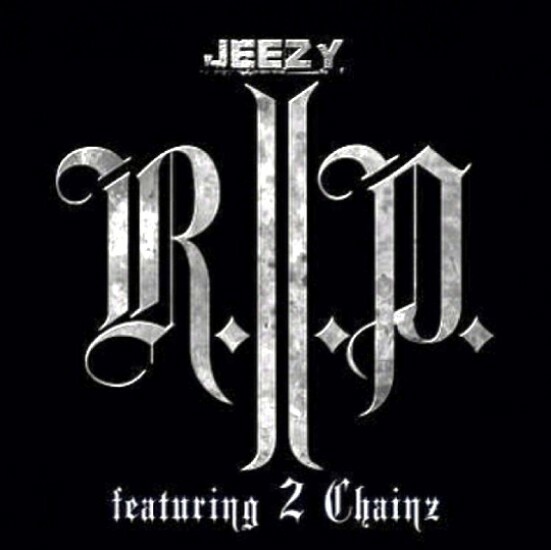 : The Movie), and Young Jeezy's "R.I.P.," which had been available via his It's Tha World mixtape for two months before it got an official release through Def Jam. But while the mixtape's taken on a valuable role in the mainstream music industry, it still hasn't been fully accepted as legitimate. The RIAA is no longer treating prominent mixtape makers like pirates, but it's not showing the format much love either. The industry group recently announced that it will start factoring in streamed online plays towards a record's gold or platinum status, but the list of platforms that will count towards those awards doesn't include DatPiff or LiveMixtapes, the two largest and most influential mixtape distributors on the Internet. And despite the fact that an increasing number of chart hits got their start there, Billboard doesn't count them either. It could be that Billboard and the RIAA are simply unaware of how important mixtapes have become, but that's highly unlikely. A majority of the most successful rappers working right now (Drake, Nicki Minaj, 2Chainz) got their starts on the mixtape circuit, and most of the headline-making major label deals with young rappers in the past year (A$AP Rocky, Chief Keef, Trinidad James) are the direct result of their successes as mixtape artists. When labels are signing multimillion dollar checks, people in the industry know about it. A more likely cause of this gross snub towards mixtape sites—rather than ignorance, or some inherent bias against hip-hop culture (which is basically paying the majors' bills these days)—is the fact that sites like DatPiff and LiveMixtapes are starting to supplant the traditional music industry as rap listeners' primary source of new music, and offer a route for artists to achieve fame and fortune without even bothering with a label contract. While mixtapes don't offer the sort of huge advances and promotional apparatus that the majors do, a rapper with a successful mixtape can flip that into featured appearances on other artists' recordings for thousands (or even tens of thousands) of dollars apiece, as well as cashing in on their popularity through concerts and endorsement deals. Millions of dollars are moving through mixtapes, uncontrolled and untapped by the major labels. Some rappers are starting to choose to stay in the mixtape world and bypass the label system altogether, choosing greater artistic and financial freedom over going in debt (both literally and figuratively) to a major for a big dollar advance. And the mixtape format's starting to attract nonrappers as well: Fall Out Boy released a mixtape through DatPiff a few years ago, and up-and-coming British pop star Charli XCX put out her own earlier this year. If the mixtape's going to put the final nail in the traditional music industry's coffin it would make sense that the industry's two biggest mouthpieces would ignore it for as long as they can. The only thing that remains to be seen is how long they can keep it up. Miles Raymer writes about what's on the charts on Tuesday. It's not because they aren’t a vital format or the fuel for a parallel music economy—it’s because Billboard and the RIAA ignore them.